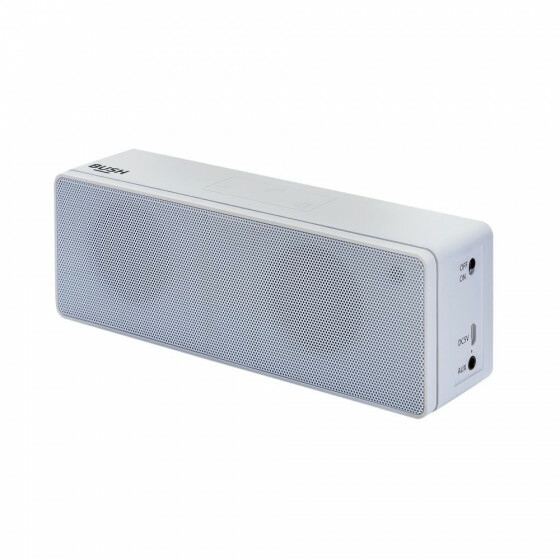 This small speaker really packs a punch for its size. 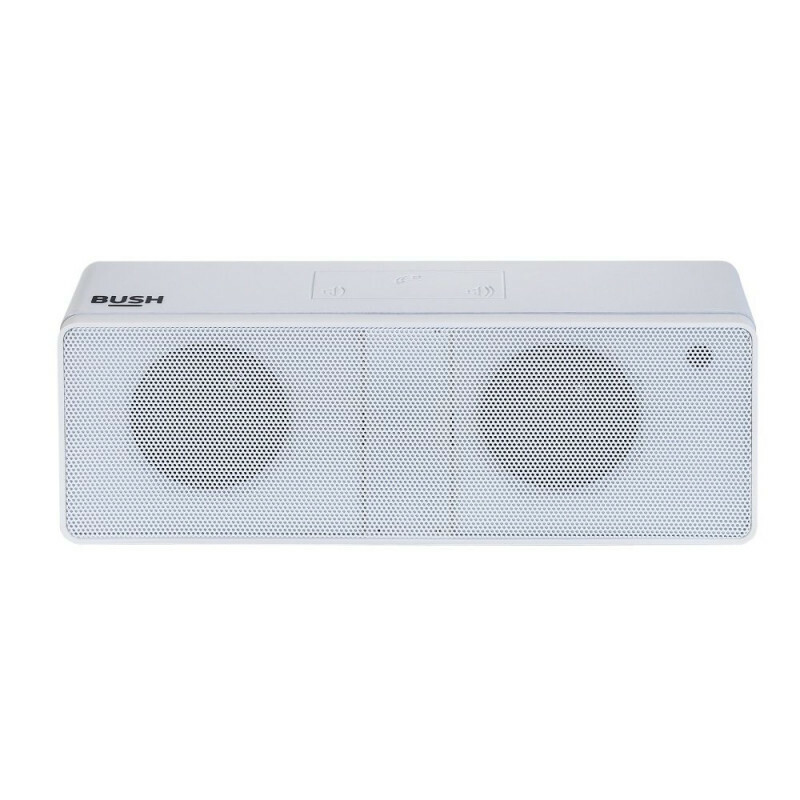 With unbeatable sound, this white wireless speaker from Bush is sure to have you dancing like no one's watching. Offering great bass and treble, this small speaker really packs a punch for its size. 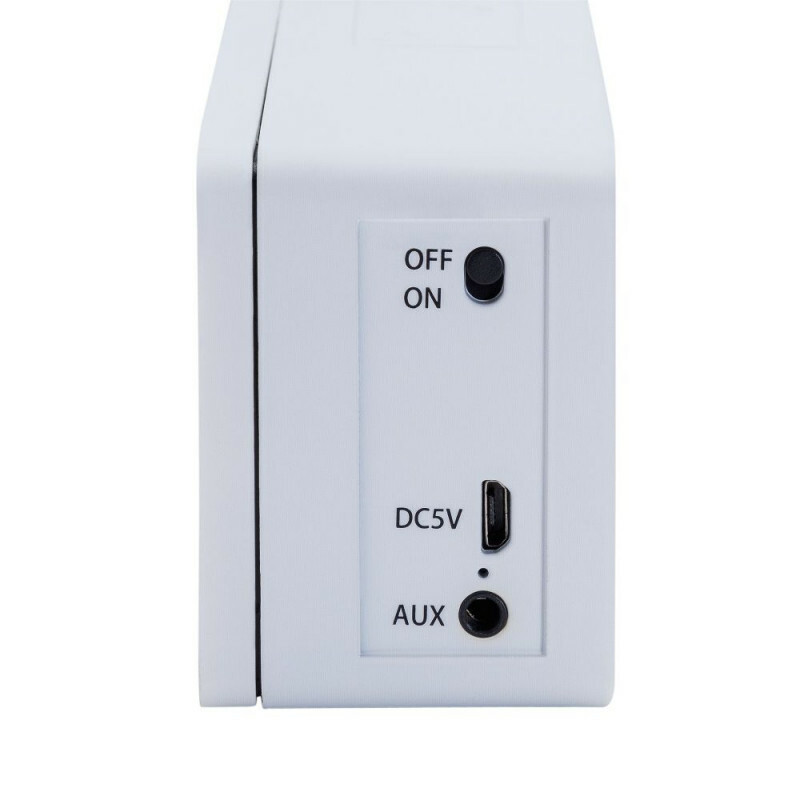 Connect an iPod using Bluetooth or plug in an AUX to listen to your MP3 player. With 4 hours battery life you can take your music with you wherever you go. Power up again once you're home using the included USB cable. Hifi sound quality and woofer type bass.